In the wake of last month’s severe weather and flooding along the Ohio River and its tributaries, Gov. 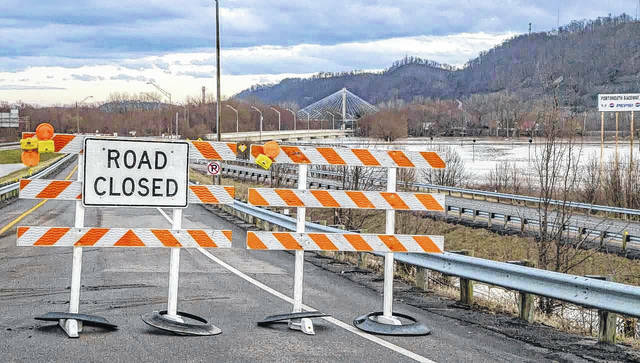 John R. Kasich Tuesday asked the President for a Major Disaster Declaration so local governments stuck with infrastructure damage can begin the rebuilding process. Federal dollars also can go toward flood defense measures, such as were taken in Portsmouth. Kim Carver is Emergency Management Assistance director for Scioto County. She said officials should know the results of the governor’s request in two to three weeks. Carver is optimistic about the outcome for local governments. “I’d say there’s a very good chance to get a federal declaration,” Carver added, saying the reason being various levels of government involved all met the financial thresholds for federal aid. 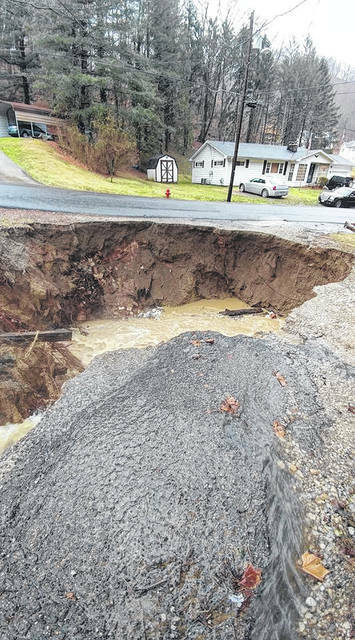 Locally, Scioto County alone turned in $4.1 million in flood-related costs. Nearby Lawrence County put in for about $7 million in aid. Statewide, the figure reached $44 million. Carver previously reported the Scioto County threshold was $293,000. She said the state needed to reach a $17 million figure. Obviously, the county and the state far exceeded the needed thresholds. In response to last month’s flooding, Kasich issued an emergency proclamation Feb. 24 that ultimately included 20 Ohio counties. In mid-March, Carver and other local EMA officials conducted a meeting with city, village and township leaders to determine and document damages and expenditures related to the disaster. According to the governor’s office, in addition to the $44 million already mentioned, there is an additional $20 million in damages to Ohio highways. Kasich’s office stated, thanks in part to previous mitigation efforts, an estimated $19.9 million in additional damages were prevented. In addition to Scioto County, other counties covered by Kasich’s request for federal assistance include Adams, Athens, Belmont, Brown, Clermont, Columbiana, Gallia, Hamilton, Hocking, Jackson, Lawrence, Meigs, Monroe, Noble, Muskingum, Perry, Pike, Vinton and Washington. As most local observers know, flooding damage in Portsmouth neighbor New Boston was evident. In Portsmouth itself, damages and expenses may have seemed somewhat less visible. Carver said the city’s expenses include everything that was spent on flood defense, most notably the price tag for raising the city’s flood gates for the first time in 20 years. The city also operated water pumps as part of its flood defense. Carver said that, additionally, Portsmouth has considerable cleanup to undertake following flooding between the river and the permanent flood walls along Front Street. She said riverside parks, including the area used for the city’s annual River Days celebration, ended up underwater. Carver said the county is responsible for cleaning up parks along the river in the unincorporated area of West Portsmouth. In New Boston, the cost of pumps is likely to be among that community’s chief expenses. Carver noted the city’s pumps failed — according to Carver, they burned up — at one point, and pumps were brought in from out of state to help with the situation. Kasich’s office provided a detailed timeline of various events surrounding the flooding last month. A few notable happenings included the delivery of 50 flood cleanup kits from the American Red Cross to Brown County on Feb. 27. On that same day, the Ohio National Guard provided overhead imagery along the Ohio River in Brown, Clermont and Highland counties, with the airlift provided by the Ohio State Highway Patrol. The Ohio Department of Health helped acquire 100 doses of tetanus vaccine for Brown County. Moving backward in time, on Feb. 26, Ohio Department of Transportation geologists were on the scene in Lawrence County to help clear a large rock slide on State Route 7. The Ohio Department of Job and Family Services authorized $150,000 in assistance for needy families, and $25,000 in adult assistance funds for the elderly and disabled. A few other significant events included the delivery of a total of 5,000 sandbags to Athens County. Flood defense water pumps arrived in New Boston on Feb. 22, the same day the Ohio Army National Guard provided Portsmouth help with flood gate installation.